Deanston distillery may have a short history in whisky terms but its heritage and local influence goes back 180 years as a cotton mill. This resource was harvested until the 1960’s when the distillery was converted for distilling whisky; demand for British cotton may have subsided but the love of whisky is strong. The sound of looms and cotton production may have faded away but their influence remains throughout the tour and is also highlighted by informative displays. Originally powered by water, Deanston has taken on this natural resource not only for distilling but also powering their activities thanks to today’s hydro technology, which has replaced the giant mill wheel. 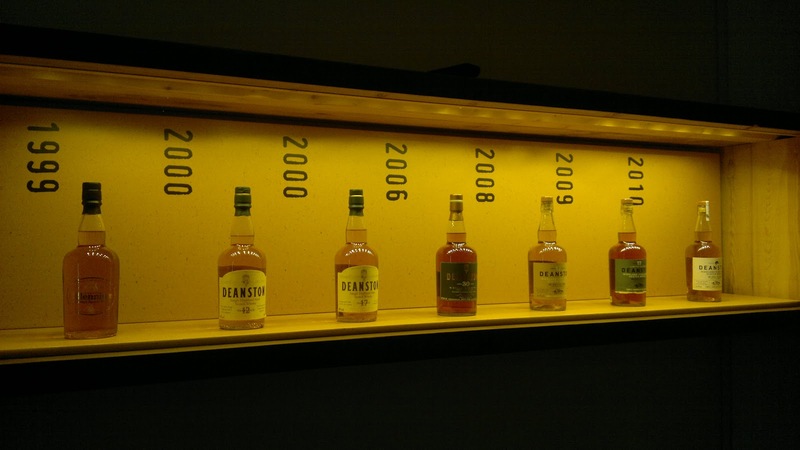 As one of the first distilleries to be powered by its own means, Deanston now sells back to the natural grid on the side. It’s location beside the River Teith is an ideal spot and sitting at the foot of the Trossachs one that is very accessible. 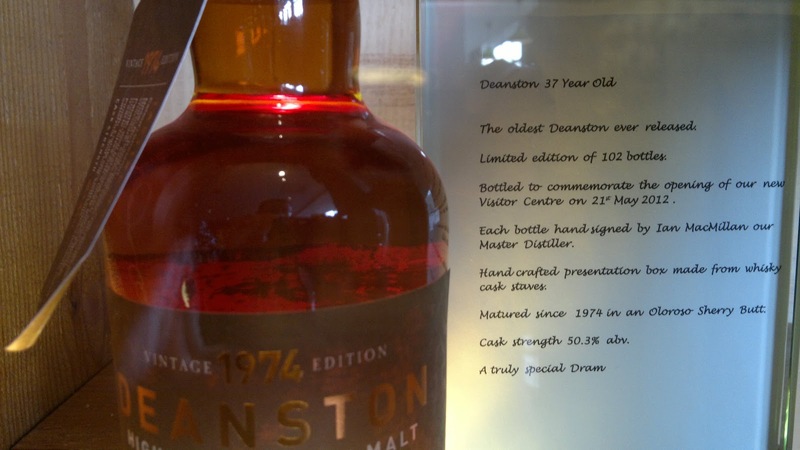 For many years Deanston was a blending whisky due to and given its fruity, sweet characteristics a popular ingredient. Owned by Burns Stewart, who also can count upon Tobermory and Bunnahabhain, much of Deanston today goes towards blends such as Scottish Leader. However as a single malt, it is beginning to be appreciated more thanks to investment, a move towards unchilfiltered and a range of bottling’s worth seeking out. 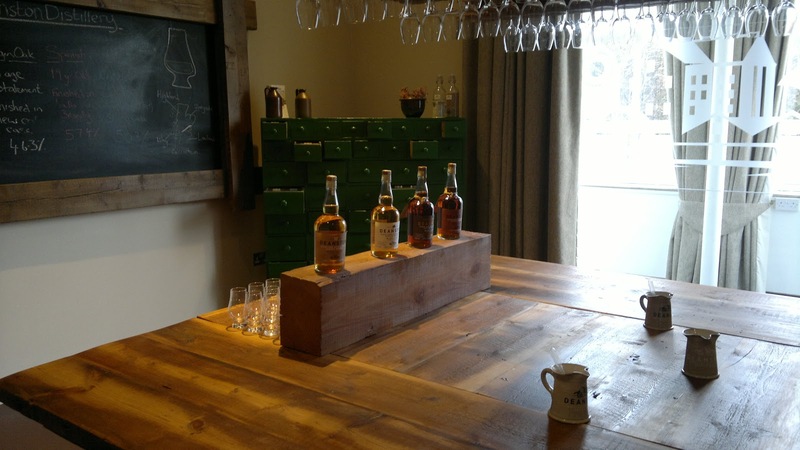 The distillery itself has had a major investment recently with a marvellous visitor centre and café, which serves fresh food often with Deanston playing a part in the dish. Popular it seems with the locals, it is worth settling down for some food after taking the tour. 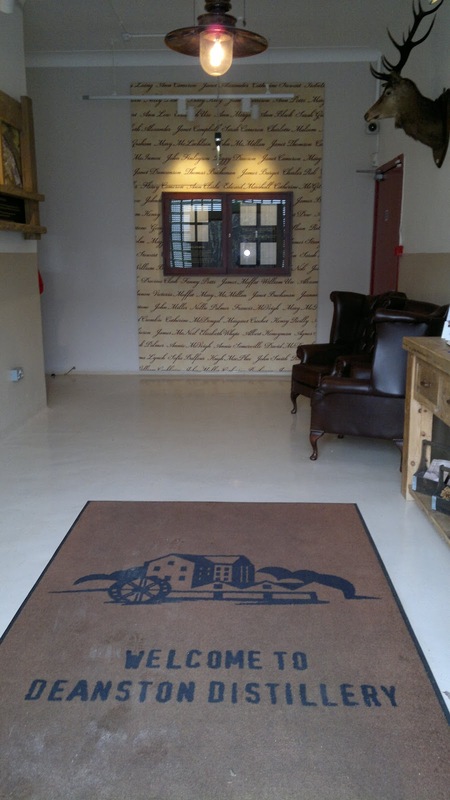 There are various tours available of Deanston, we opted for the Tasting Room tour which is normally £18 per person and includes the tasting room experience with 3 drams. The standard tour with a dram is £8 and the Classic Tour adds a dram of the Virgin oak bottling and a visit to the warehouse. That’s not all with a Heritage Tour (£30) and a Manager’s Tour (£40) available, resulting in a comprehensive selection. A short DVD plays out the history of Deanston with the focus mainly on the cotton aspect. As you sit watching this you can also see the range of bottles and how the distillery has grown. The short film is very professional and does a good compilation job, after this you venture out into the inner workings of the distillery itself. Now I’m pleased to say that photographs are allowed on this tour but without the use of flash, which is acceptable and sensible. Things start with a walk down to where the original water wheel was located and where the hydro equipment now resides. 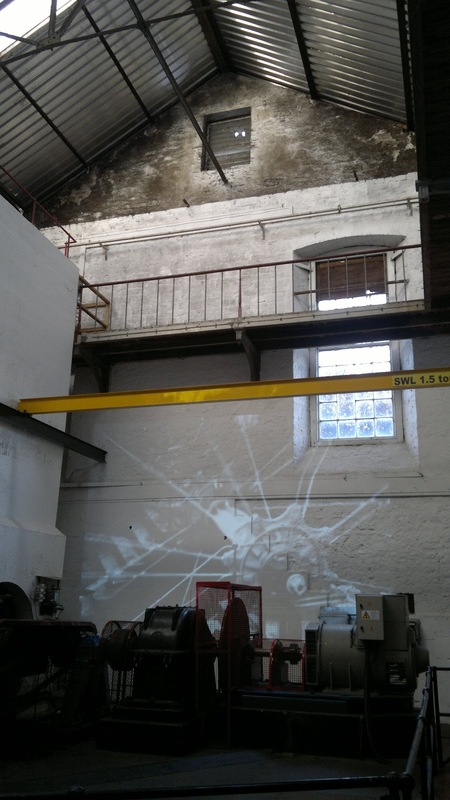 A projected image gives you the insight into the size and stature of this now departed piece of industrial tech. Quite often people ask me ‘aren’t these tours all the same?’, well they never are and such a historical feature is unique. The tour then moves onto the barley stores and a mill still going strong. 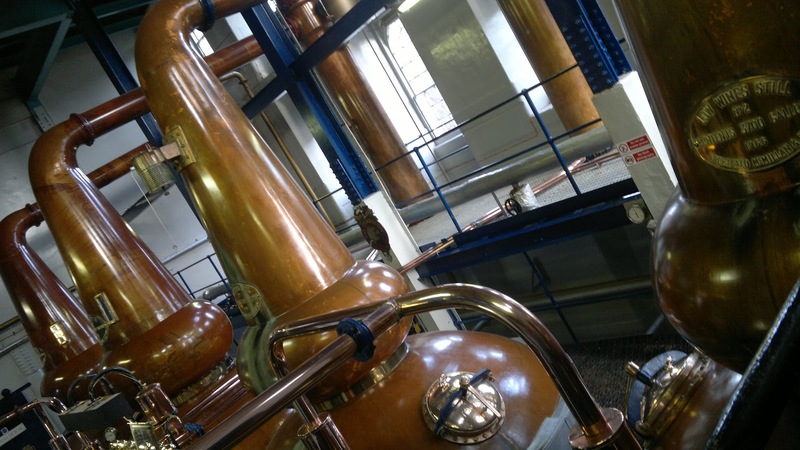 One aspect highlighted to us is how many men work at Deanston and the lack of computers throughout the distillery. It’s not a massive employer such as Bruichladdich but shares many characteristics and the Deanston computers are simply chalk and a blackboard. 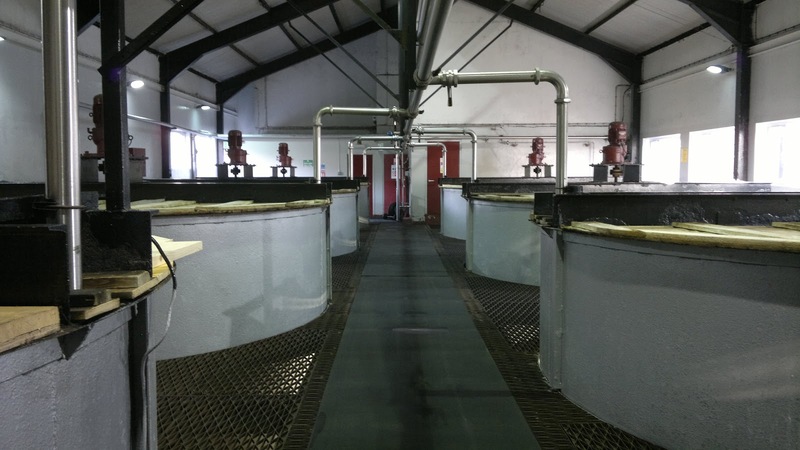 A similarity with Bruichladdich is the same type of mash tun being used at the distillery. This is a huge open tun and during our visit this was peacefully idle. If you want to see this in operation then check out theBruichladdich photographs here. Generally throughout Deanston you notice how clean everything is; the men take great pride in keeping everything ship shape. The washback room is the area that many will recognise from the Angels’ Share film which was partially filmed at Deanston along with Balblair. After here you move onto the Still Room where you can appreciate how the floors have been removed from the cotton days by looking up along the walls. After this you visit the station where the casks are filled and bottled before entering a warehouse. 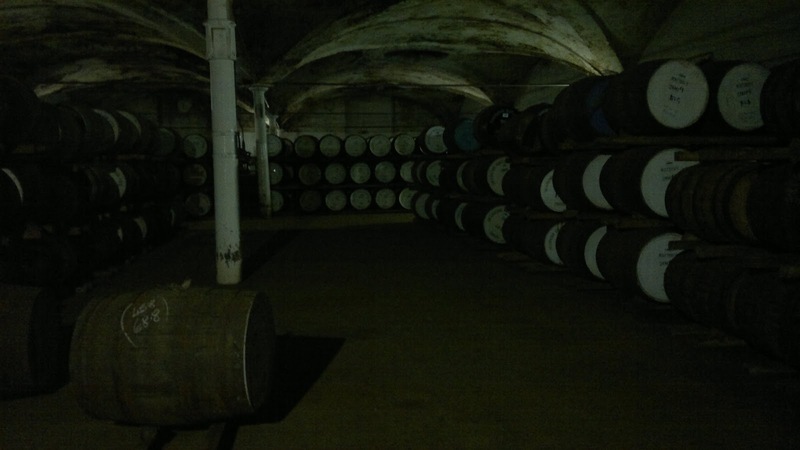 This is very picturesque warehouse with the impressive ceilings and cool temperature; perfect for whisky. A number of signed casks are also here including one signed by the Angels’ Share cast and director, which might make a fine edition one day? This tour then finishes in a lovely tasting room with another blackboard put to good use as a backdrop along with a cabinet of spices for tasting notes. The staple Deanston was first up before the Virgin Oak and then our favourite by far; the Spanish Oak. So impressed were we that I had to purchase a bottle, using the £5 discount that any tour grants. Expect some tasting notes in a separate update. A well-stocked gift shop and the option of visiting the Coffee Bothy for some highly recommended food, means you might want to leave a little more than just an hour to take in everything that Deanston can offer. We really enjoyed the drive to the distillery, sampling some drams and the informative tour guide throughout. A fine way to end our 2012 Distillery Tours and it’s another we would take as part of a fun day out. We can recommend the Deanston stovies and the Deanston macaroni cheese. The Deanston sticky toffee pudding is also worth the trip! As always the complete set of photographs are available here.